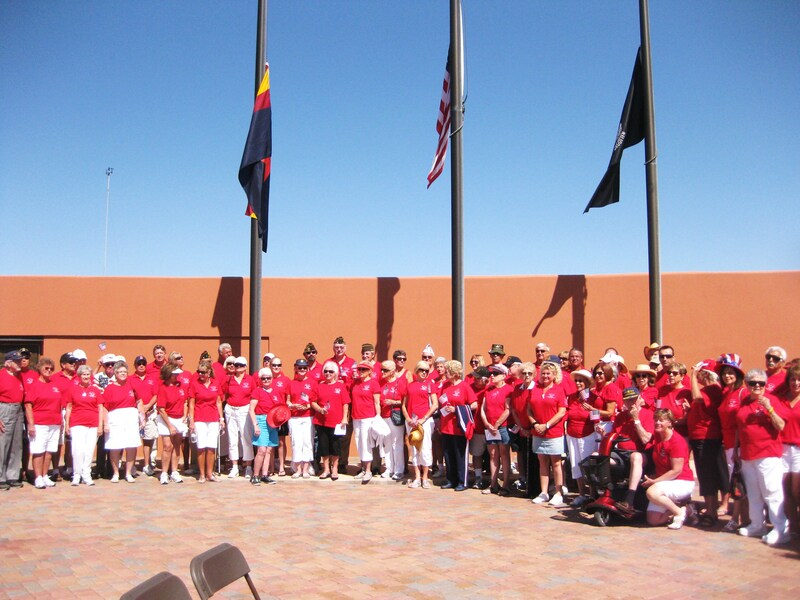 Fountain Hills Veterans Memorial hosts the annual observance of Veterans Day. The service will be held Sunday, Nov. 11, at 9 a.m. The public is invited. If you want to learn something about a small town, find out how they honor their veterans. In the Southwest, if there is a ranking, Fountain Hills will be at the top. 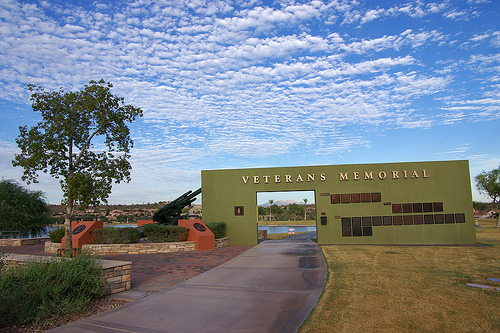 On Sunday, November 11, be sure to show up long before the 9 am kickoff at the Fountain Hills Veterans Memorial. If you don’t you won’t be able to get close enough to enjoy the color guard, speaches and joy of watching both young and old pay their respect to those who have gone before. Veterans Day, 2011: A BIG RED Celebration! This entry was posted in Area Events, Arts, Culture, Schools & Clubs and tagged Fountain Hills Veteran's Memorial. Bookmark the permalink.